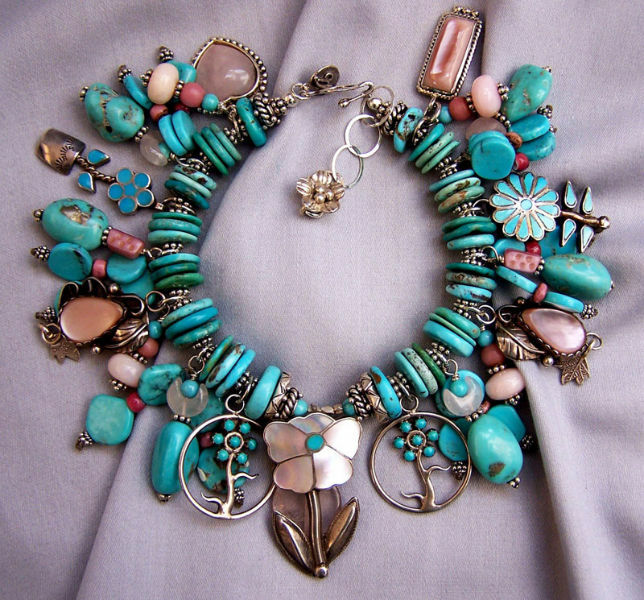 The colors in this bright bracelet remind me of the wildflowers blooming in the new spring fields. So colorful! The focal charm feature Spiny Oyster shell beautifully carved into a large central triangle, with 17 little oyster cabochons surrounding it all set in simple sterling bezels. 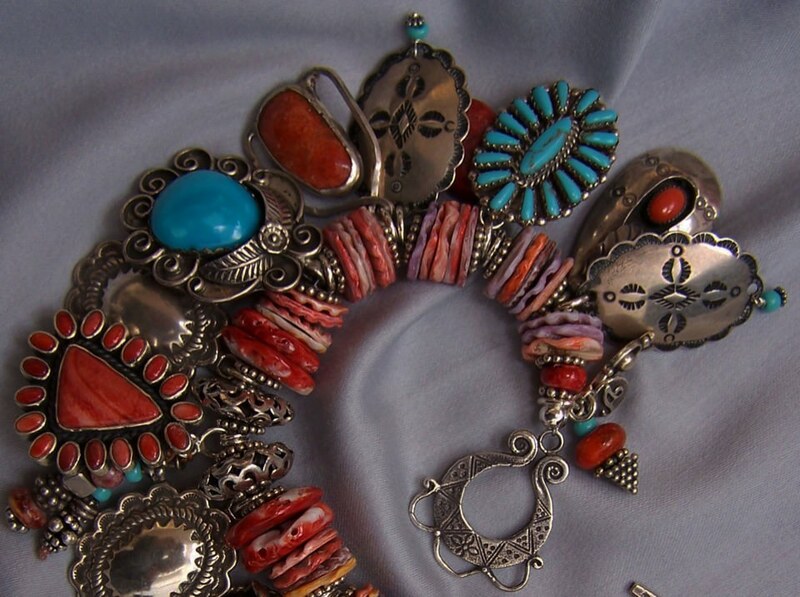 This charm hangs about 2″ from the bracelet band and I have added a little bundle of small beads at the back just to give it interest. There is a very faint mark on the back that is too faint to read. 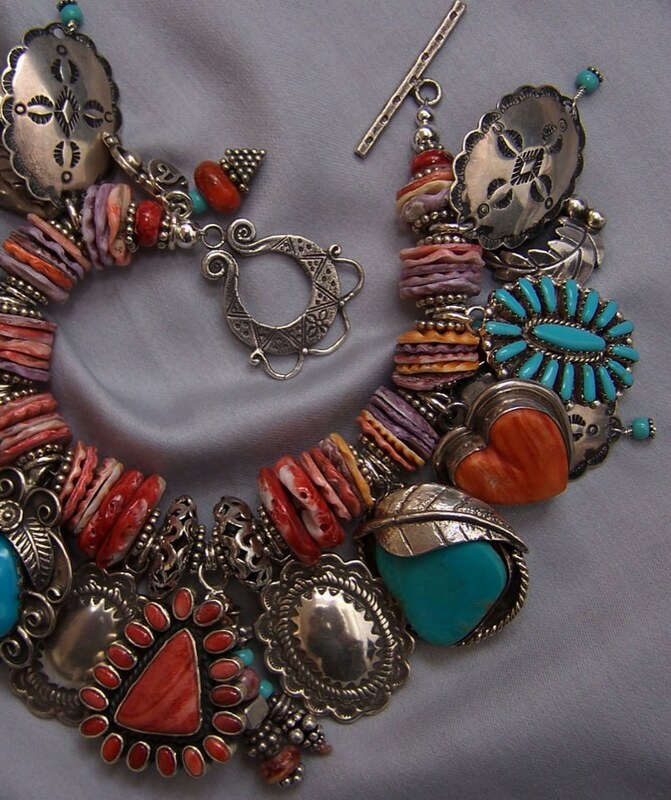 This center charm is flanked by sterling conchos, then fine vintage Navajo turquoise charms in elegant sterling settings, 1 marked with “sterling”, then 1 Spiny Oyster heart in a sterling bezel and next a hand made vintage Navajo charm with sterling bands framing an apple coral stone, marked “M2” on the back, a very personal charm made by a skilled craftsman of the past. 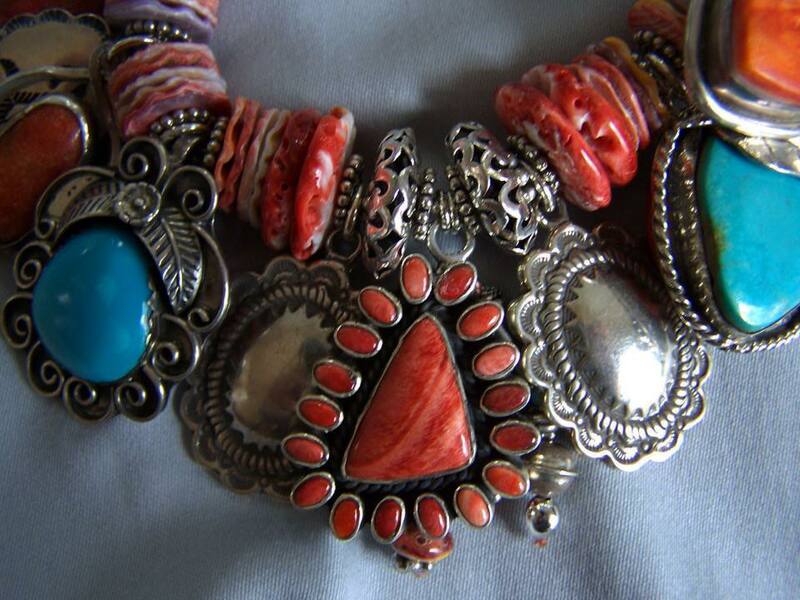 There are also 2 turquoise charms with tiny turquoise cabochons, marked “PB”, 2 more vintage coral and sterling charms and 4 old stamped conchos, each with little dangles and a nice patina. 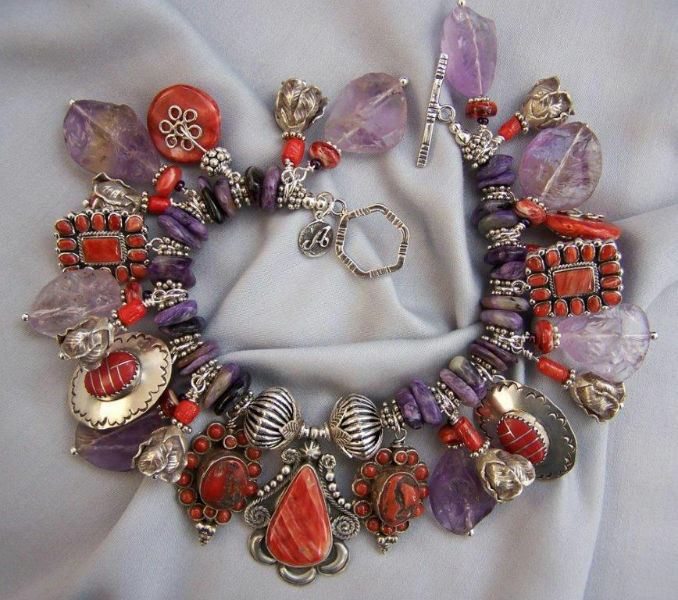 The band of this bracelet is made with Spiny Oyster and Pectin shell, unusual and very durable, I especially like the soft colors with the stronger colors of the charms! 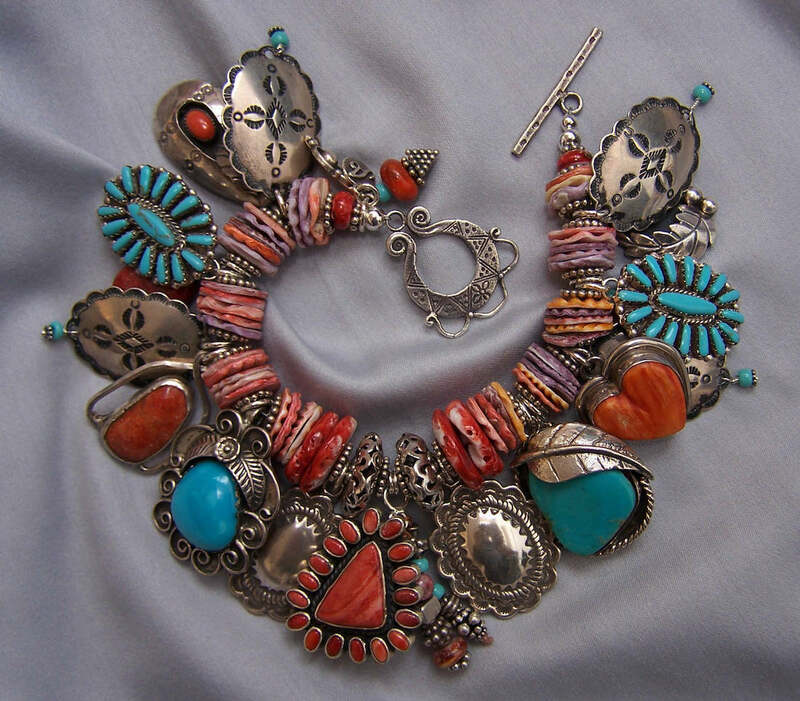 There are 2 central sterling beads in the band and a pretty sterling toggle clasp that is nicely patterned on both sides. 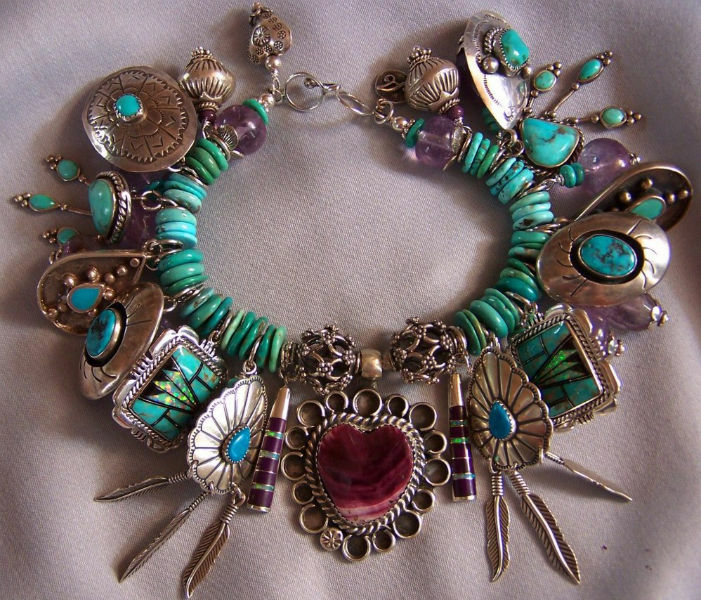 The wearable length of this collectible bracelet is about 7.5 “. 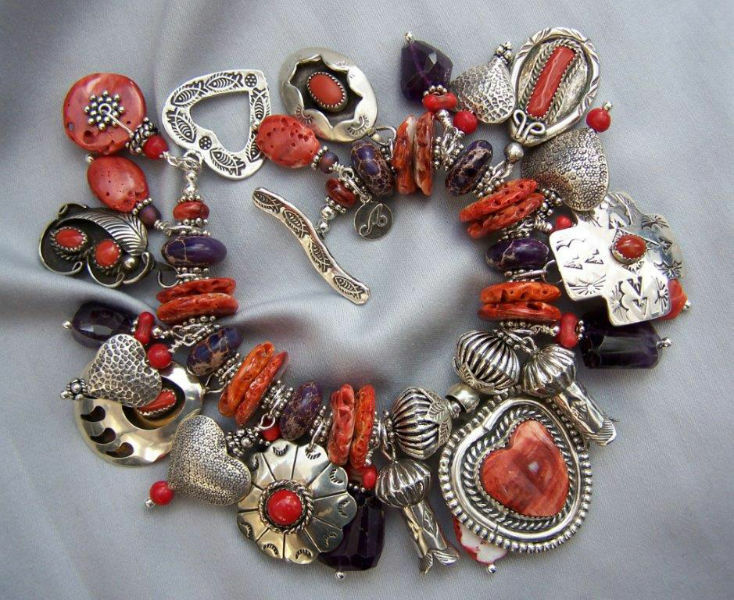 This is a very full bracelet; Enjoy!